angus.org To view complete pedigree and EPDs, click on the provided link and enter Reg. # in Animal Search Box at the top right-hand corner of the page. Wow! Lots of good things to say here. 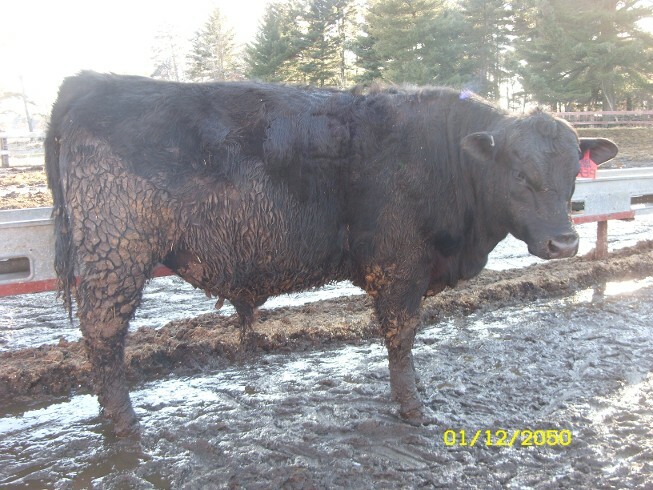 His dam ranks in the 1% for WW, YW, and $Feed Lot. Ranks in the top 2% for $Beef @ $169.40. He's granddam just became a Pathfinder cow with 3 @ 108. R-439's sire was an A.I. son of JMB Traction known for his proven performance, outstanding phenotype, and foot improver. Real fine offering from a 1st calf heifer. Nice spread from birth to weaning weight.